The BLOC Equaliser Goggle is a performance snow goggle with interchangeable 2 lens technology helping you to adapt to changing light conditions, maximising performance. The dual adjustment strap and helmet compatibility make these goggles an ideal partner for your winter sports adventure. Fogging is no longer a problem as vents direct airflow over BLOC goggle lenses, stopping moisture from settling. Anti-fog coating stops water droplets clinging onto lenses and blocking vision. 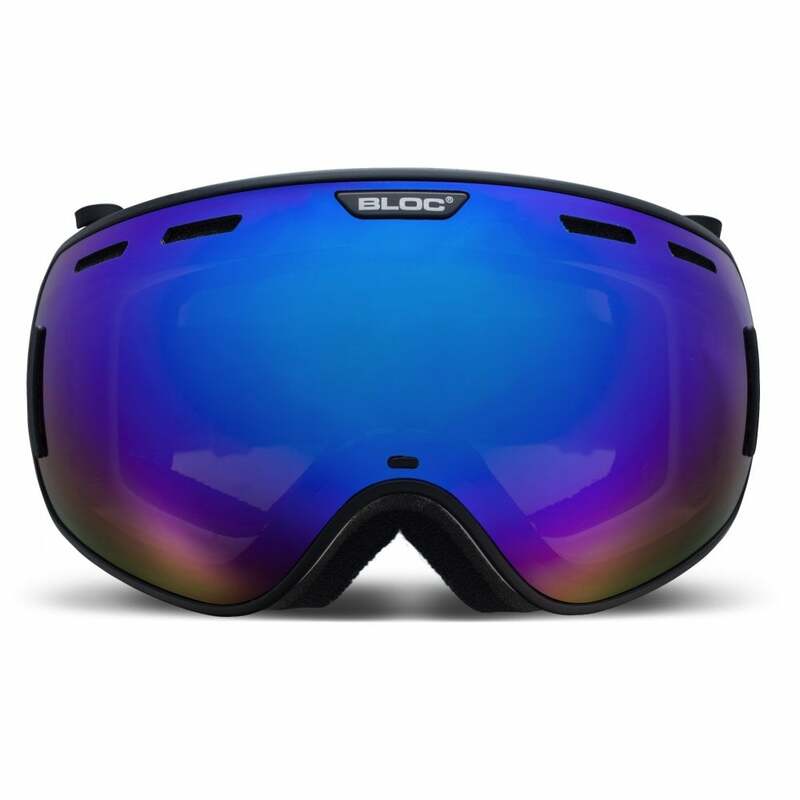 Plus, Bloc XT6000 double lenses stop cold mountain air condensing with warm air inside the goggle. The polycarbonate outer lens gives extraordinary impact protection. Clarity and a wide field of vision are also assured. Tri layer moisture wicking insulated fleece ensures your face is snug, warm and comfortable. Included in this set is; 1x Equaliser frame, 1x category 2 Orange base Blue mirror lens and 1x category 1 Clear base Red flash lens.